Through an outstanding collection of environment and user friendly products Blomberg aims to bring harmony to the life at home. Preservation of natural resources is a priority for Blomberg, where we continually strive to redefine the energy and water efficiency levels of home appliances. 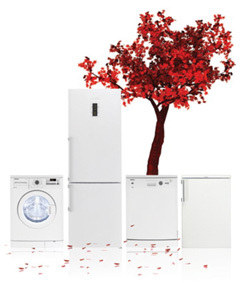 Blomberg products are produced in factories that are ISO 14001 certified. ISO 14001 is an internationally accepted standard that sets aims to put in place an effective Environmental Management System (EMS). A strong German brand in an international network. Blomberg, founded as a metalworking company in 1883, today belongs to Arçelik, the 3rd largest appliance manufacturer in Europe. Arcelik was founded in 1955. Today it has 32 sales and marketing companies, 11 production plants and over 17,000 employees. Arçelik products are sold in over 100 countries worldwide. The company’s consolidated turnover reached €3,6 billion in 2008. Production gears itself exclusively towards the highest quality standards and is certified, amongst others as ISO 9001 – TSE and ISO 14001. Six Sigma and TPM are implemented as permanent optimisation methods. 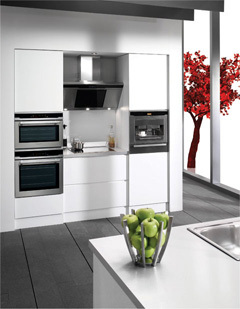 Blomberg products have been recognized several times for their technical standards and outstanding design both globally and in the UK. 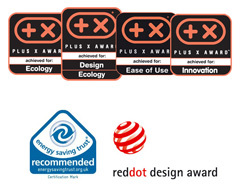 The Reddot Design Award ranks among the world’s biggest design competitions, and is recognised internationally as a seal of quality. Blomberg’s logitronic dishwasher GSN 1580 XB won the Reddot Design Award, confirming it as an innovative appliance with outstanding design features.